In all our six years of sampling whiskies, our original Mumbai tasting group‘s adventures have only touched on rye every once and again… it has never once been a fully fledged featured evening… until now. Alas I again had to miss our session as was off gallvanting around Germany, however our resident guest whisky writer Nikkhil is back again to share our group’s impressions. Nose: Spicy, citrus sour green tamarind on the tree, lemon drops, sweet poppins, orange mithai which gave way to a distinct raw turmeric (haldi root but not the dried one) note. Some ravalgaon toffee notes now in the glass. A very unusual flavour profile which was not yet experienced by the group. Certainly non-scottish! Palate: Spicy and bitter. More turmeric/ginger notes on the mid-palate. Marigold flower petals! I’ve never experienced that before in any spirit. Some caramel popping its head up now. There was something plasticine about it which hit the back of the tongue. Almost like an off note. This I find commonly in first pours and usually settles thanks to oxidation as the level goes down in the bottle. Finish: Spice and bitter stay at the back of the palate. A medium linger with a hint of cocoa notes. With water sweet vanilla, a hint of mint. The bitterness stays. Overall a shy palate. After 20min rest: The nose and the palate had completely opened up. It smelt and tasted like a cold sweet paan in a bottle! Lovely. The mouthfeel now had an oily consistency. Some cloves, cinnamon and over ripe bananas. Very fruity. The plasticine notes subdued significantly. Time in glass as important as time in cask. Every whisky tasting is a two way conversation and we must avoid the tendency to rush into our tastings in an effort to form or announce our impressions. What is interesting is how we have developed a clear slow down, sample, set aside and revisit approach (where we have enough Glencairn glasses! )… more often than not, the whisky will shift with more air – sometimes revealing additional quite interesting qualities, sometimes the opposite where once something that was quite appealing becomes “not” as it becomes sour or its aromas just vanish! 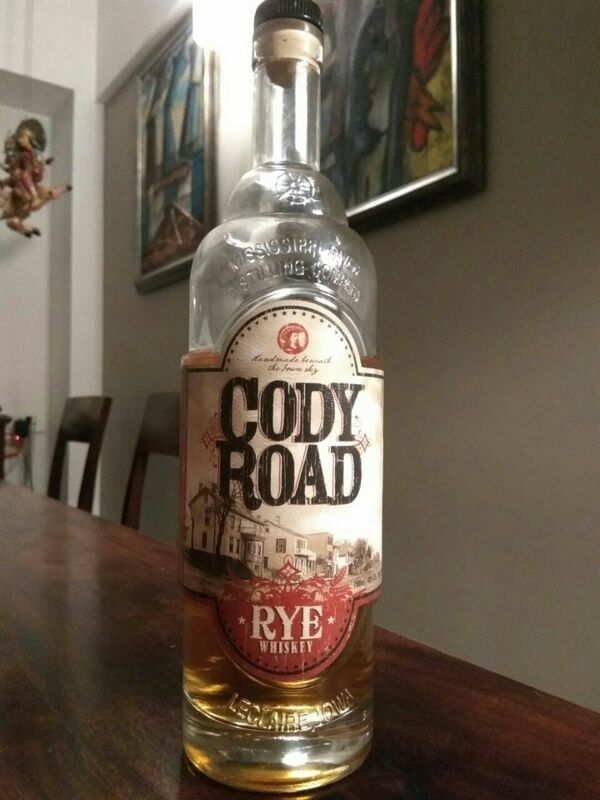 This entry was posted in American, Beyond Scotland and tagged Cody Road 100% Rye 40%, Rye by Carissa Hickling. Bookmark the permalink.